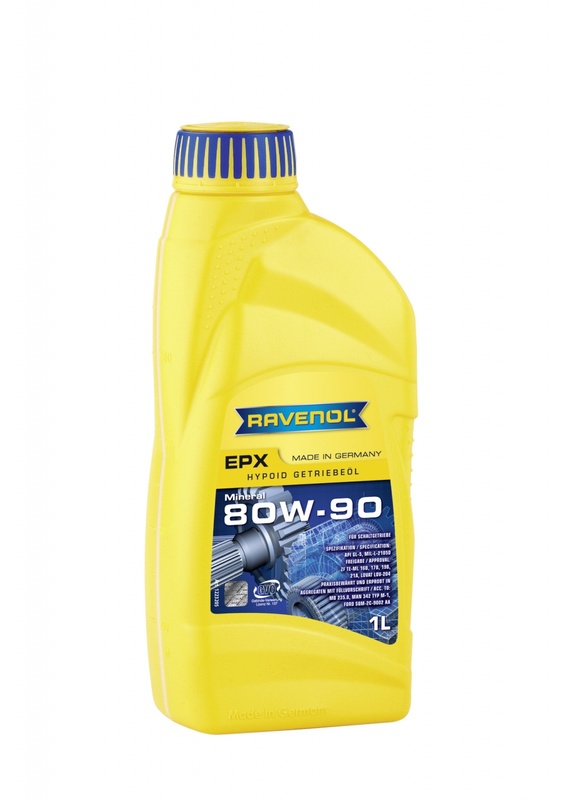 RAVENOL EPX SAE 80W-90 GL 5 is a multirange transmission oil for synchronised and non synchronised manual transmissions as well as axle drives, distributor transmissions, intermediate transmissions in vehicles and working machines. 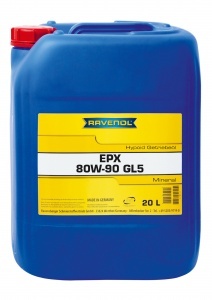 In order to avoid the seasonal change of the transmission oil RAVENOL EPX SAE 80W-90 GL 5 was developed. It can be used in winter as well as in summer. Its universal use reduces the risk of mix-up and storage. Because of the balanced additive combination characteristics like a high pressure absorption capacity, a superior viscosity temperature behaviour, a high oxidation stability, low pour points, a good corrosion protection and non-sludging are guaranteed. 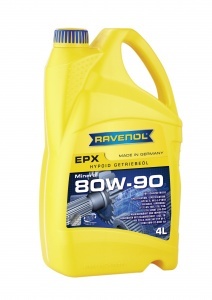 RAVENOL EPX SAE 80W-90 GL 5 is compatible with all brand-name transmission oils. In case of changing flushing is not necessary. Can be used in manual transmissions, axle drives, distributor and intermediate transmissions in vehicles and working machines. It's the recommended oil for ZF gearbox and Ravenol provided it at a very good price and posted it very quickly.